Firstly let me say how irritated I just was when I typed ‘The Chronicles of Narnia’ into Google image search, and was overcome with stills from the films. I had to add ‘book’ before I got anything of use. I’m going to make this a short review, as this is a review of seven books in one I feel it necessary to keep it to the minimum or I could go on for an age. I would recommend these books very highly to anyone who hasn’t read them, and would not want to spoil any part of them. Go out, buy the books, read them, read them to your children, buy them as gifts. I feel I would have loved these books even more had I read them as a child. I would recommend the Chronicles of Narnia for children far above the Harry Potter books, Philip Pullman’s dark materials or Lemony Snicket’s Series of Unfortunate Events. Not that the other series’ do not have their merits, but I would go so far as to say I would not let any of my children grow up without giving them the opportunity to experience these stories. C S Lewis writes the stories in a way that everyone can understand, communicating at times with children on their level. I have read it written that C. S. Lewis had an incredibly strong respect for children, and felt the need to speak with them as if they were his equals and not beneath him. This is evident throughout the books, with C S Lewis coming up with little analogies to explain things which only a child will fully appreciate. I know many people will know the basics of the Chronicles of Narnia, but I still don’t wish to ruin anything for those of you who are in the dark. 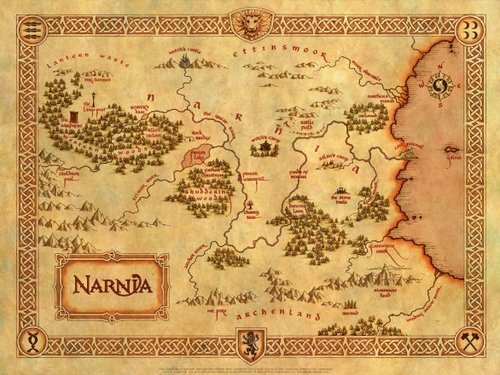 Put very simply, the books follow the adventures of the Digory Kirke, Polly Plummer and the Pevensie family in the mysterious land of Narnia, and their encounters with the king of Narnia -Aslan. I am sure there are people out there who will not enjoy the Chronicles of Narnia, partly due to their obvious theological content. It is well known that the books draw heavily in the bible, from the Creation Story through to the Book of Revelations. I have never been what I would call religious, I have yet to decide exactly what I believe in, no doubt one day I will decide but it will be my choice alone. However I believe that these books teach fantastic morals, and can be enjoyed on several levels. The books are a great read as stories alone. The adventures are incredibly enticing, and kept me enthralled for hours at a time, to the point where I did not want to put the books down, reading one after another in quick succession. C S Lewis’ presents religion in such as way as to appeal to those who are not open to the ideas of Christianity, by giving them something which is meant first and foremost to be entertaining, presenting religious stories as works of fiction. Ultimately Aslan is not speaking of serving one god or another, but of a way of living. It is a guideline, a moral, to be good and kind and feel the benefit of your actions, or to suffer as a result cruel choices. Overall I thoroughly enjoyed these books for what they were – stories. It was interesting for me to look at the theological aspect as well, but ultimately it was the stories that I enjoyed, and it is the stories that I recommend. Having finished the books I plan to lend them on to my younger siblings, who are of the perfect age to fully appreciate the stories. Great review. My mother read these books to my sisters and me when we were little. I will probably start reading them to my children as well! I love them. Every single second I spent reading them was a second well spent 🙂 you can get some amazing hardback illustrated anthologies – perfect for little ones!